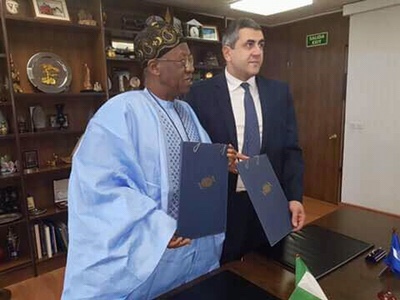 The Minister of Information and Culture, Alhaji Lai Mohammed, signed for the Nigerian Government while UNWTO Secretary-General Zurab Pololikashvili signed for the global tourism body at a ceremony at the UNWTO Headquarters in the Spanish capital. 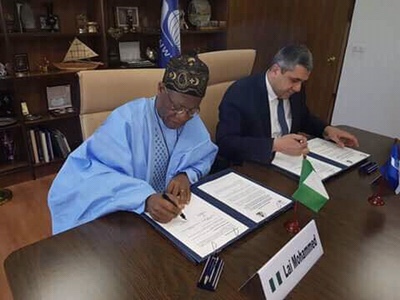 The agreement, the signing of which was witnessed by the Nigerian Ambassador to Spain, Her Excellency Susan Aderonke Folarin, among others, contained the conditions for organizing the meeting as well as other details. and other aspects of the Creative Industry. He thanked the UNWTO and its member states for their confidence in giving Nigeria the hosting right for the meeting, and assured that the country would host a top class event. ”Nigeria does not take the confidence for granted and will not disappoint. In this regard, the meeting’s main organizing committee, as well as the sub-committees, are leaving no stone unturned to stage a highly-successful meeting. ”All delegates coming to Nigeria for the meeting are assured of Nigeria’s legendary warm hospitality and an exposition of the country’s sight and sound. We will showcase the best of our entertainment industry that has taken the world by storm,” Alhaji Mohammed assured. Ease of Doing Business ranking, earning a place on the List of Top 10 in the world. He also said Nigeria has started implementing visa on arrival for a certain category of foreign visitors, a development that he assured will impact positively on the country’s tourism sector. Welcoming the Minister earlier, the UNWTO Secretary-General said the organization would assist Nigeria to develop and showcase its tourist attractions. ”We are glad we are coming to Nigeria in the summer. It is a good opportunity to showcase Nigeria,” he said, while urging the Minister to help identify Nigerian celebrities who can be appointed as the UNWTO’s ambassadors of tourism. The delegations of the Minister and the Secretary-General later met to review the agenda of the 61st CAF Meeting, the UNWTO’s forthcoming Technical Support Mission to Nigeria and other issues related to tourism development in Nigeria.